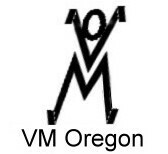 VM Oregon is an engineering and consulting firm located outside of Portland, OR. We have developed a number of products for musicians and small stage performance groups. We also provide consulting services ranging from hardware design and firmware development to database design and software applications.